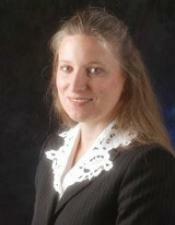 Patrica S. Murphy practices in the area of intellectual property law. Specifically, her practice focuses on protection of intellectual property rights through the preparation and prosecution of patents, trademarks, and copyrights, both domestically and internationally. Her patent practice includes the fields of electrical engineering, software technologies, computer science, mechanical, and business methods. Since 2007, she has been a member of the Ohio State Bar College. This requires twenty-four hours of continuing legal education per year, twice the number required to maintain a license to practice law in Ohio. During law school, she earned a Certificate in Intellectual Property Law. Prior to practicing law, Patrica was an electrical engineer for a leading manufacturer of plastic injection molding machinery.